"With warmer weather months only exacerbating skin challenges, we unearthed new research to shed light on the realities many Americans with skin sensitivities face every day"
ST. PAUL, Minn.--(BUSINESS WIRE)--Over 70% of Americans report being bothered by skin sensitivity, according to new research1 by Nexcare Brand. 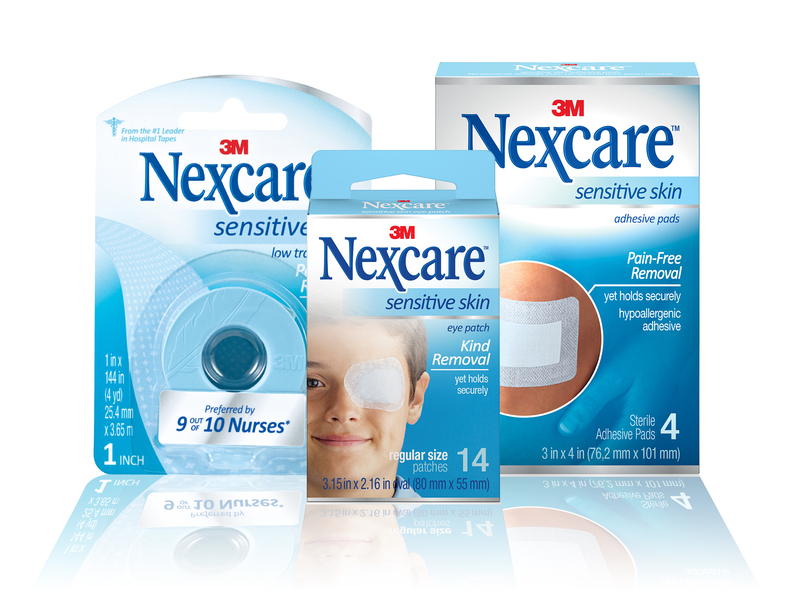 Today, Nexcare Brand from 3M announces the Nexcare Sensitive Skin collection, a new line of first aid products specially formulated for sensitive or fragile skin. With reliable adhesion and kind removal, these products offer an option for those with skin sensitivity. Nexcare Sensitive Skin First Aid Tape, Adhesive Pads and Eye Patches provide long-term adhesion, yet kind removal and minimal hair pulling. From sunburns and bug bites to added scrapes and cuts, more time outdoors during warmer seasons can be tough on all skin types. For Americans with skin sensitivity, these can be more than just a nuisance – it can impact day-to-day lives and activities. New research by Nexcare Brand from 3M has found that nearly two out of five Americans are frequently bothered by sensitive skin and that the consequences go beyond just making bandage removal painful. Forty-three percent of Americans reported avoiding an activity due to a skin problem – including using a specific beauty product, eating or drinking certain foods, wearing their favorite clothes, using particular blankets and linens or applying first aid supplies and medical tape. While families of all ages are impacted by skin sensitively, over 65% of parents report heightened concern surrounding the sensitivity of their child’s skin. The survey uncovered that this is an even bigger concern among younger parents, with over three in four millennial parents (76%) expressing apprehension due to the sensitivity of their children’s skin. 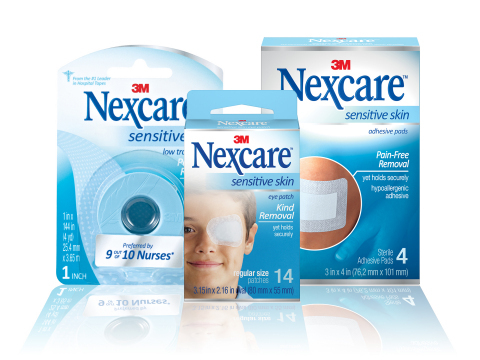 The Nexcare Sensitive Skin line includes First Aid Tape, Adhesive Pads and Eye Patches, all of which feature hypoallergenic adhesive that is repositionable to allow for optimal placement. The Nexcare Sensitive Skin First Aid Tape features a water-resistant adhesive that tears easily by hand. It is ideal for those with fragile or sensitive skin such as children or the elderly, or for applications where long-term wear is required such as: securing medical devices, post-surgical gauze applications or frequent dressing changes. The product is preferred by nine out of 10 nurses2. The Nexcare Sensitive Skin Adhesive Pads are breathable for added comfort and combine an absorbent, non-stick pad that wicks fluid away from the wound and offers a gentle adhesive for pain-free removal. The product is ideal for daily use to help protect wounds such as cuts, minor burns, abrasions and for post-surgical incisions. 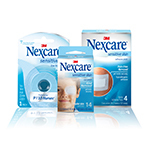 The Nexcare Sensitive Skin Eye Patch is available in two sizes, junior and regular and is ideal for treating amblyopia (lazy eye) and strabismus (crossed eyes), as a part of a doctor’s recommended treatment plan. The patch is conformable and designed to deliver secure adhesion, yet it releases gently and cleanly from the extra-sensitive skin around the eye. The water-resistant adhesive holds up to tears and sweat. The Nexcare Sensitive Skin line is priced from $7.49 and is available at select retail stores nationwide. 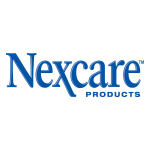 For additional information and to locate a retailer, visit nexcare.com/sensitiveskin. 3M and Nexcare Brand are trademarks of 3M. 1The Nexcare Survey was conducted by Wakefield Research (www.wakefieldresearch.com) among 1,000 nationally representative U.S. adults age 18+, between May 1 and May 7, 2015, using an email invitation and an online survey. 2 When compared to their current gentle tape in pre-market clinical evaluations.